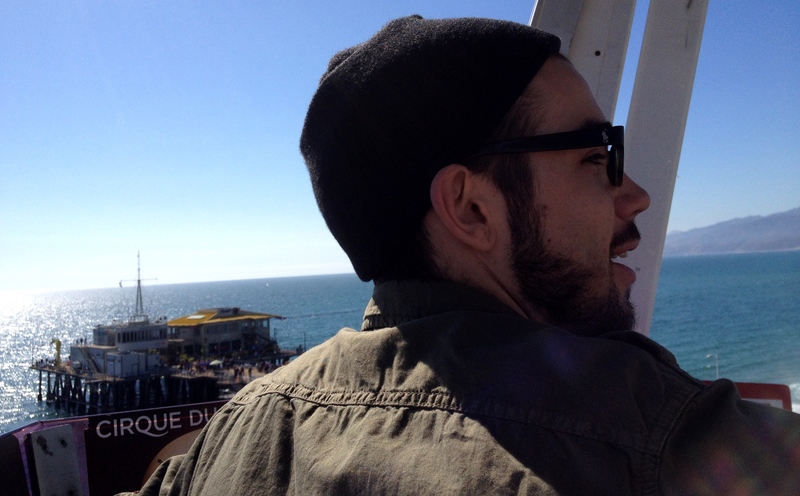 I mentioned yesterday that I finally got to go on the Santa Monica Ferris Wheel. It took a bit of arm twisting, but Brad, Jeff, and even Robin went up with me. 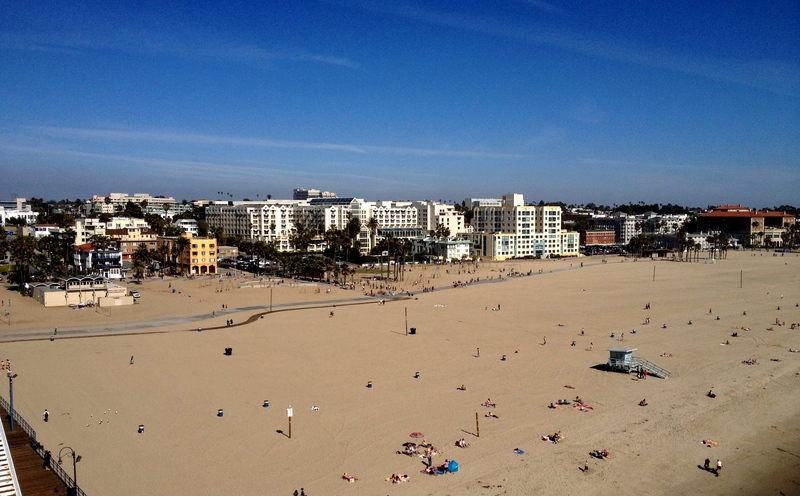 I’ve wanted to go on the Ferris Wheel probably since we got here to Santa Monica, but it just happens to be in the most touristy part of town – the Santa Monica Pier – which is also the most crowded place in town. Real reason? Brad doesn’t like heights. 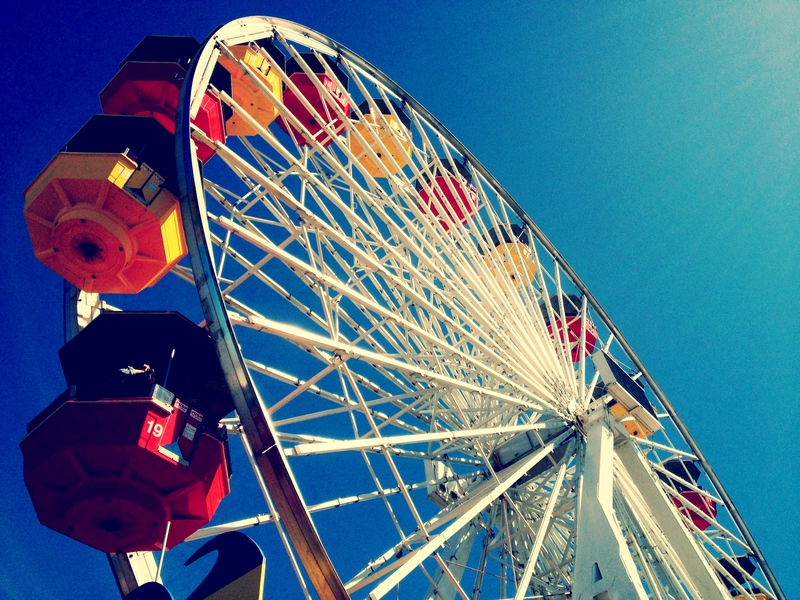 Neither do I, really, but I feel like this Ferris Wheel is something that signs your residency into Santa Monica. You are not a true resident of the town unless you have experienced it’s most famous landmark. Right? And it’s not like a Ferris Wheel even moves that fast. It’s not like you’re really afraid of falling. Just don’t move around too much. Enjoy the view! So when Brad’s mom and stepdad came into town, I planted the idea in their heads. 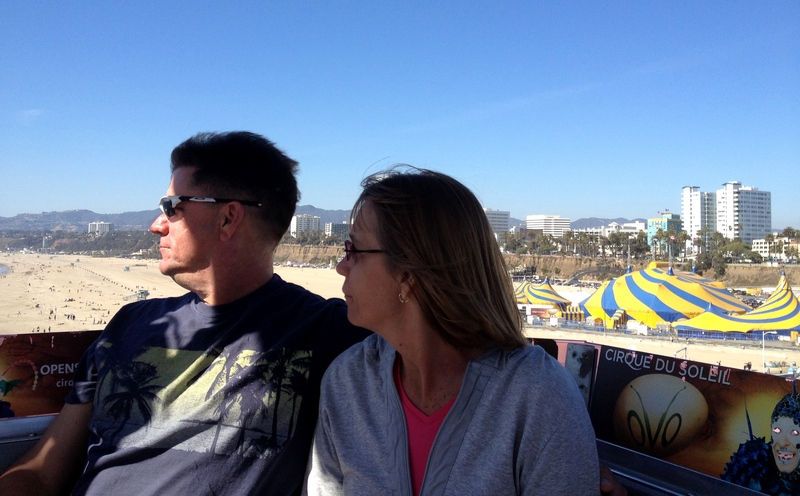 They would want to see Santa Monica from way up there, right? Of course they did. I had back-up. So Brad finally agreed. Even Robin agreed. We bought tickets. We waited in line. We promised not to rock the cart too much. Brad looked kind of frightened. We slowly reached the top. 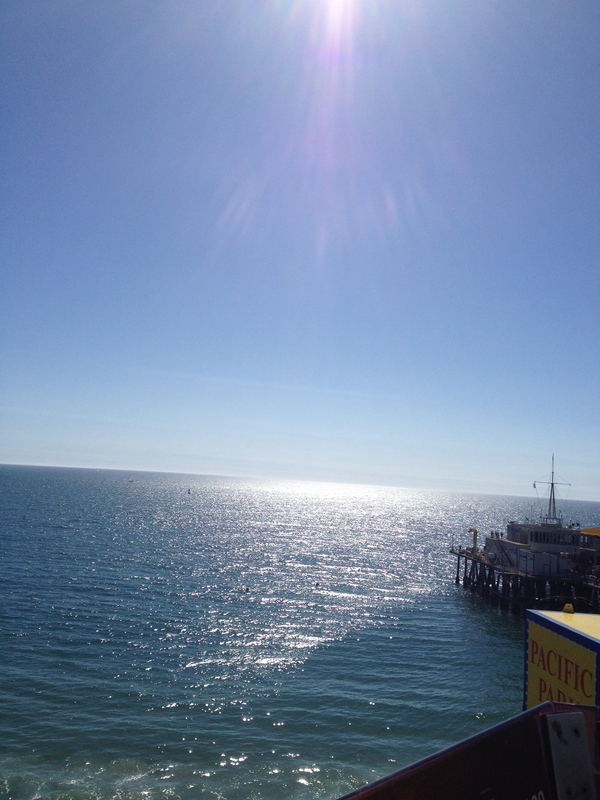 Such a beautiful day, such clear skies, such blue water. It was everything I wanted it to be. Even Brad loosened up and enjoyed it. As did Robin and Jeff. 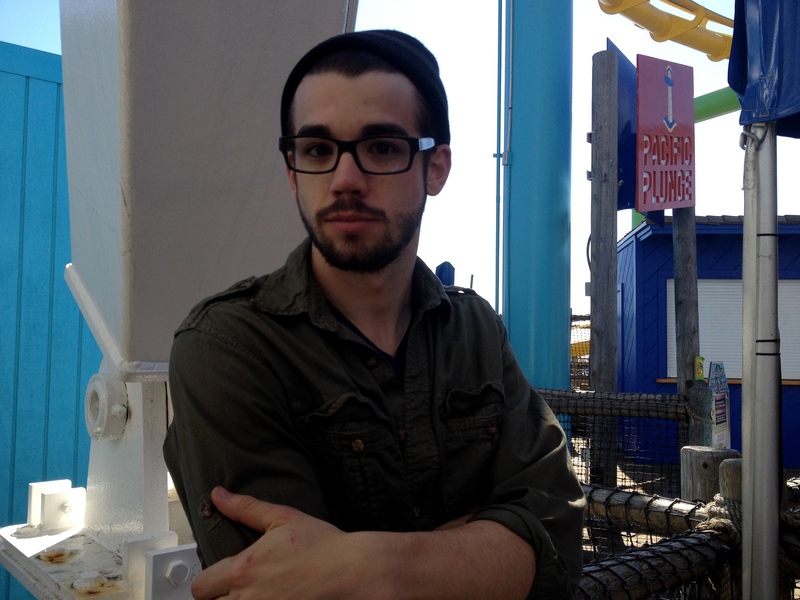 And now I will stop bugging Brad every time we pass by the Pier. I’ll just wait for people to come in town and trick him into going back up again. Because he secretly really liked it. 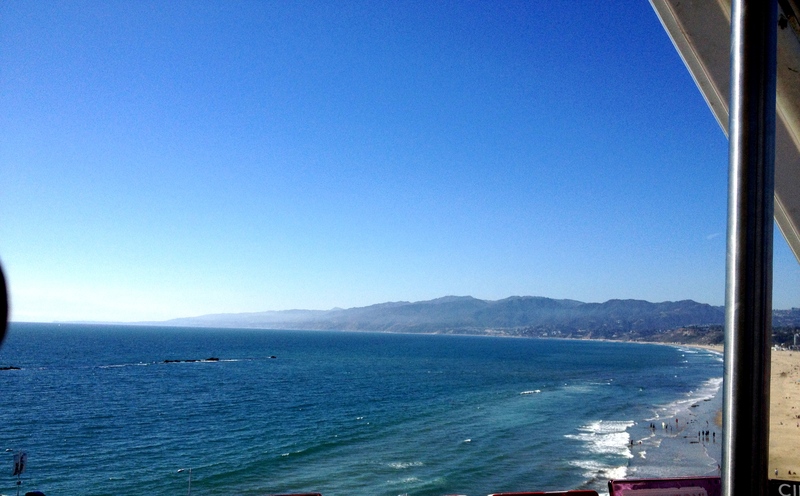 And now we are officially Santa Monica residents. Two years later. The roller coaster is another story. That’s a little too much thrill for me on the Pier. 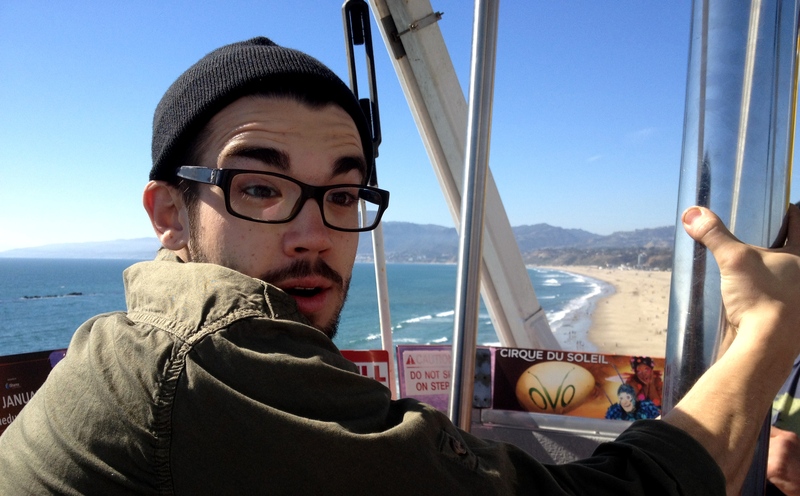 But if you’re ever in Santa Monica and need a friend to go on the Ferris Wheel with, I’m definitely your girl. 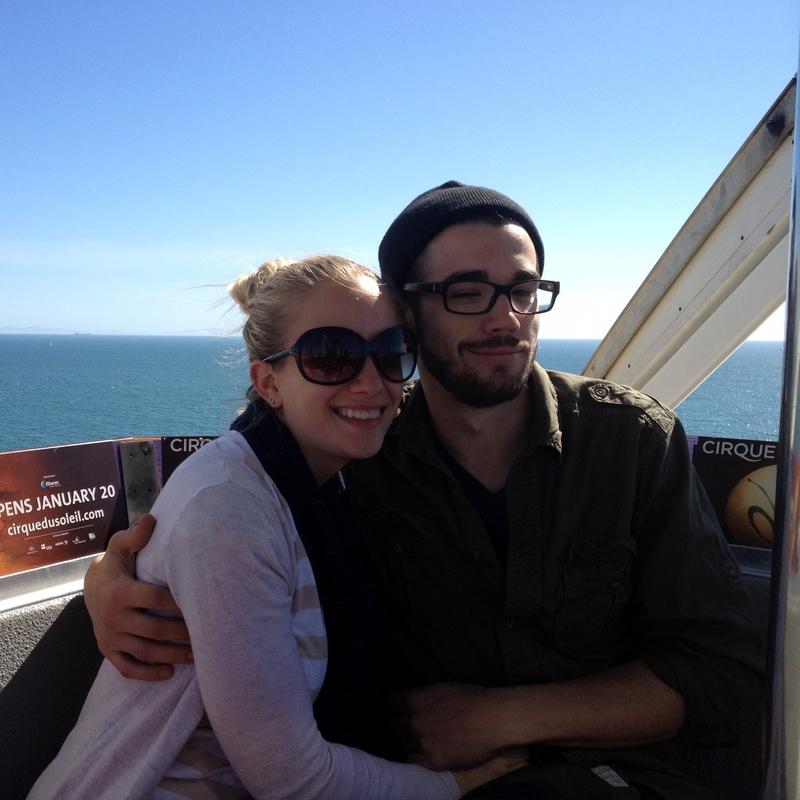 Hi Kels, love this post of yours on the Santa Monica Ferris Wheel. 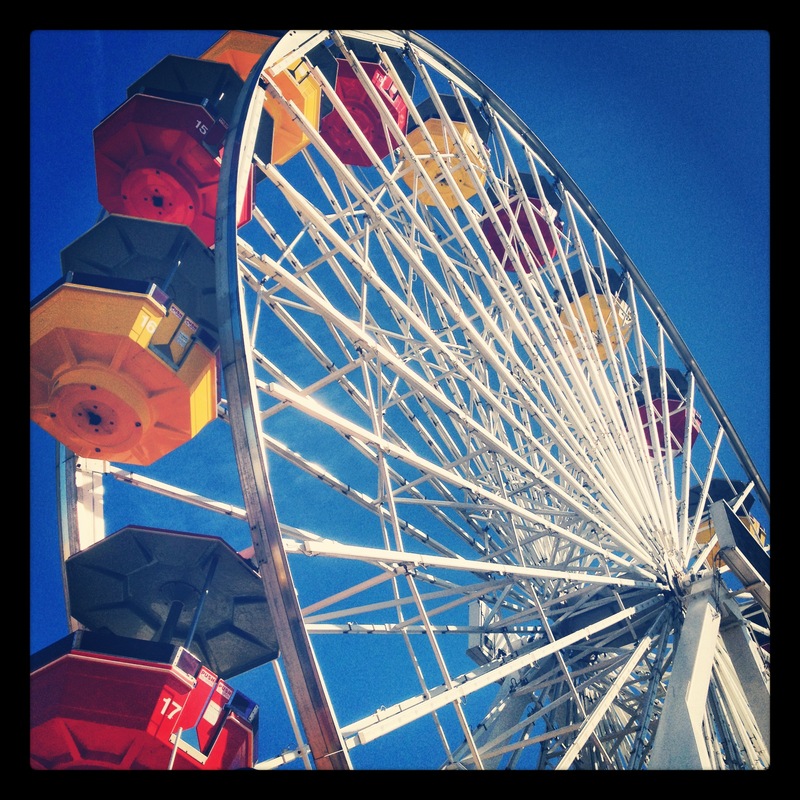 You are right about the ferris wheel experience signing your residency into Santa Monica. Though I don’t live in that part of town, I consider this as one of the best landmarks of LA. Your photo of it in that angle is essentially one of the best I’ve seen. I’m putting up some frames of photos in my home that capture my favorite places in California and one of them is the SM ferris wheel. Is there perhaps any chance that I could have a high res copy of your photo? Rest assured that I will use this for home purposes only. If you’re still hesitant, I’d like to purchase your high resolution file for a minimal fee if you would allow it. Thanks and I hope to hear from you soon. Thank you, Tiffany! I looked into it a little bit, and the most high res version of that photo I have is the same as the one uploaded to the blog. (Taken before I got myself a big-girl camera!) If you want to download the image at the top of the page for home use, feel free! Al you have to do is click through to the large version of the photo and save it to your computer. 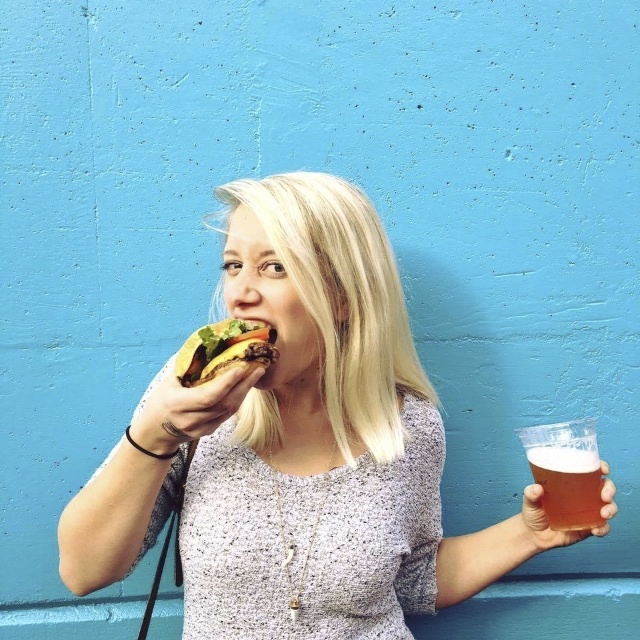 Thanks for the suggestion, Kels! Hopefully, it’ll work.